Item # 317177 Stash Points: 2,795 (?) This is the number of points you get in The Zumiez Stash for purchasing this item. Stash points are redeemable for exclusive rewards only available to Zumiez Stash members. To redeem your points check out the rewards catalog on thestash.zumiez.com. 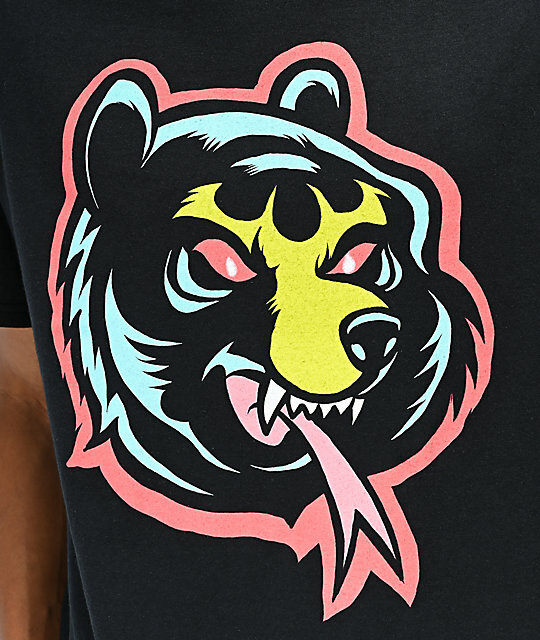 Whether you're into monochromatic fashion or simply love to mix and match with your personal color palette, Mishka's Bear Black T-Shirt offers a touch of striking color to any look. This cotton tee features a large screen-printed image of a ferocious cartoon bear across the front in a bright red, light blue and yellow color scheme. 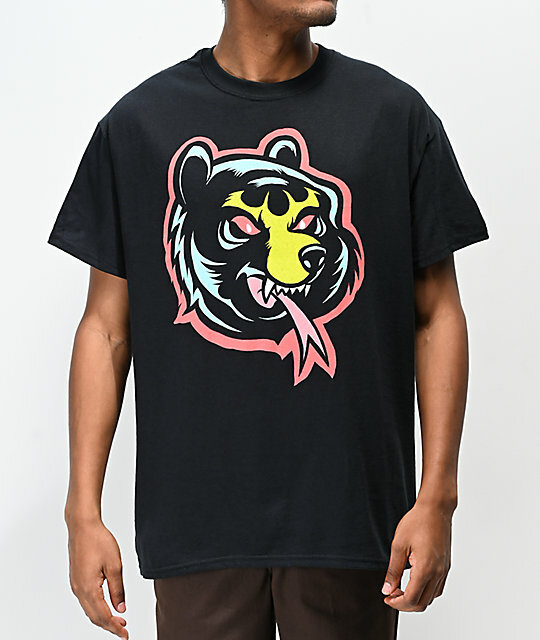 Bear Black T-Shirt from Mishka.